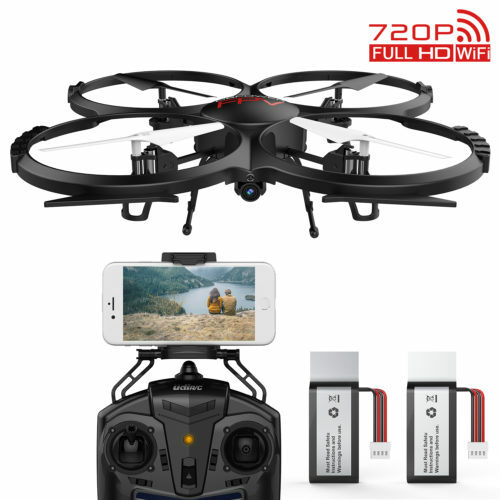 FPV REAL TIME TRANSMISSION - The Drone Equiped With 720P Wifi Camera, Allows You To See What the Drone Sees, Monitor Real-Time Video With Your Phone Directly, Compatible with IOS & Android Systems. 3D SPLIT SCREEN DISPLAY - Compatible with 3D VR HEADSET on DBPOWER FPV APP, use your own VR HEADSET (NOT INCLUDED) To See the World In A Different Way. 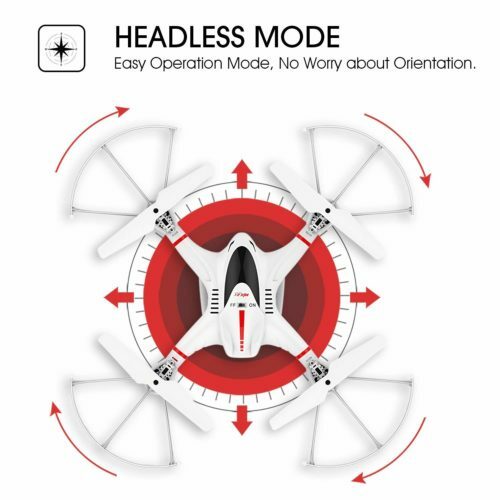 HEADLESS MODE - Usually, the Forward Direction of a Flying Multi-Rotor is the Same As the Nose Direction. By Using Headless Mode, the Forward Direction Has Nothing to Do with Nose Direction. The Direction Will Be the Same As Your Transmitter. (Keep the Transmitter Facing Forward). 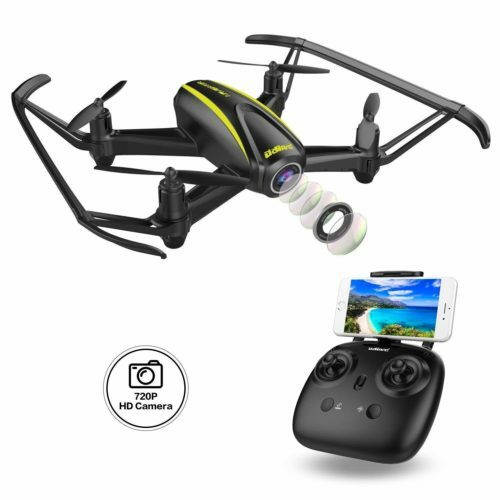 ONE KEY 3D ROLL - With the Latest Technology of 6-Axis Gyro Flying Control System, It Can Fly Very Stable and Take Better Pictures and Finish the 3D Roll With One Key, Easy for Beginners. 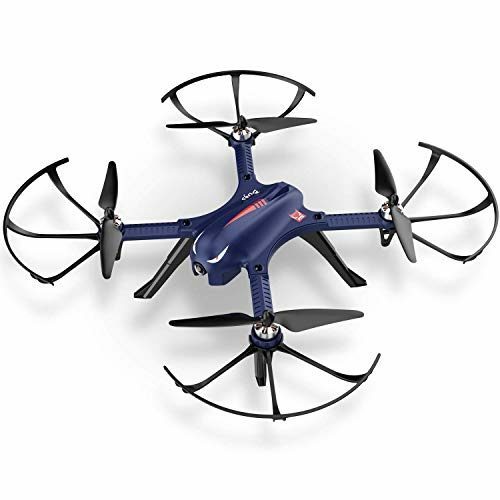 HIGH CAPACITY BATTERY - Flying time: 10~12 Minutes (Standard 8~10 minutes). 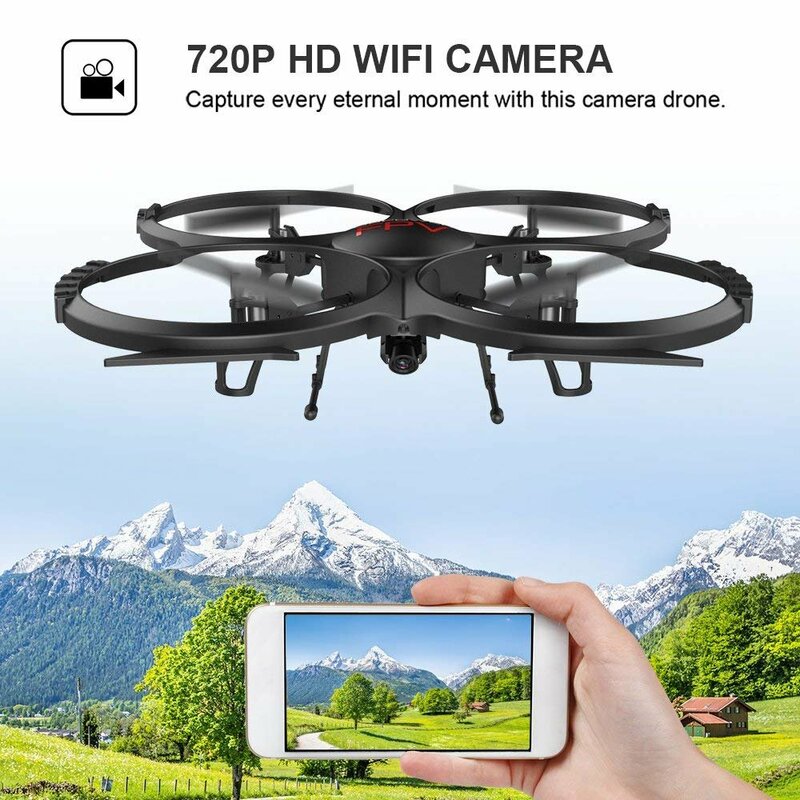 HD CAMERA and FPV: This U818A Drone is the WIFI FPV Version, Different From the Original Version, It Not Only Equips with 720P HD Camera, But Also Has FPV Function when being Connected to a Smartphone. 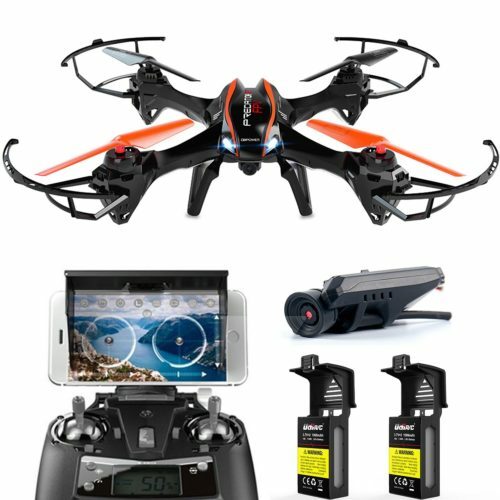 HEADLESS MODE and 3D Flip: The Headless Mode Eliminates the Distinguish of Drones Direction, the Direction Will be the Same as Your Transmitter. Much more fun with 3D Flip function.Suitable for Beginners. 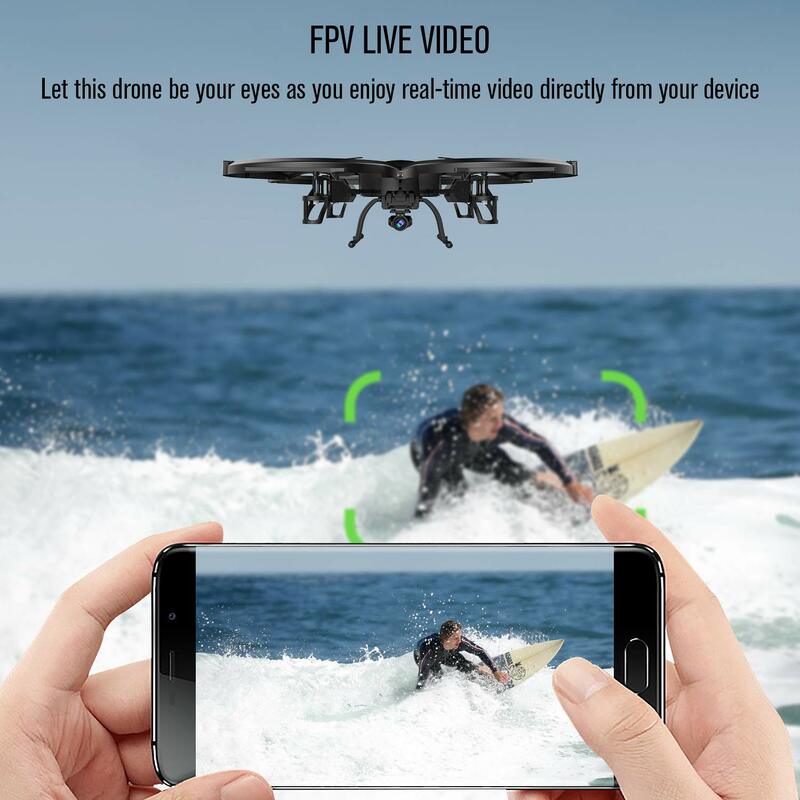 APP CONTROL MODE: Install the APP "UDIRC FPV" on Your Smartphone, to Control the Drone by APP instead of the Remote Controller; More Over, in the APP Interface There are More Functions Like GRAVITY MODE and 3D VR View. 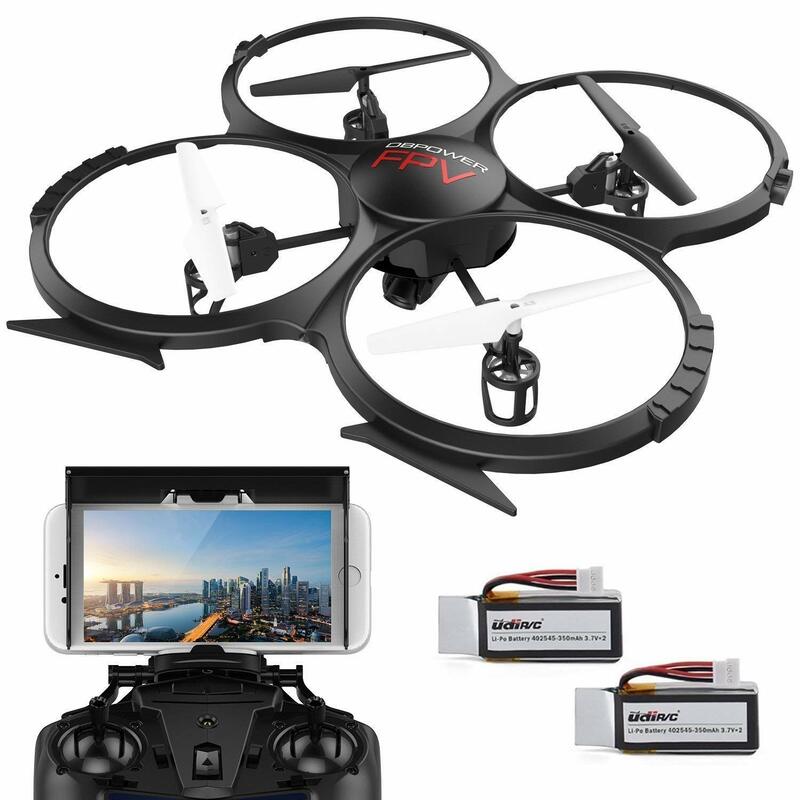 LONGER FLYING TIME(BONUS BATTERY): Considering the Normal Working Time of Per Battery of Drones in This Lever will NOT Last Long, We Provide an Extra Bonus Battery to Double Your Flying Time. 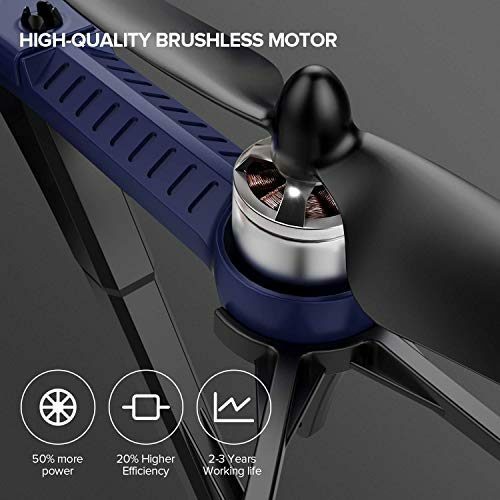 POWERFUL, BRUSHLESS MOTOR FOR A HIGH-SPEED FLIGHT EXPERIENCE: Advanced engine technology facilitates low friction between engine parts, thus reducing heat production. Being more powerful than traditional engines with the incomparable speed. 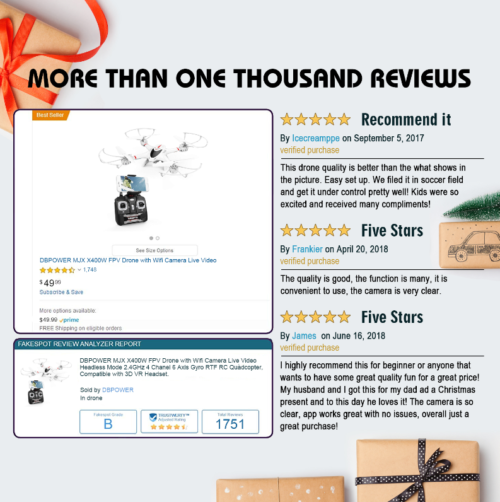 Enjoy an exciting flight with your Monster Bugs 3. 2.4 GHz, TWO-WAY COMMUNICATION for a 300m CONTROL DISTANCE: The 2.4GHz two-way remote control improves the response and control of the drone. 3D FILTER AND OUT OF RANGE ALARM: The control of the drone emits a beep when the signal becomes weak or is interfered with. 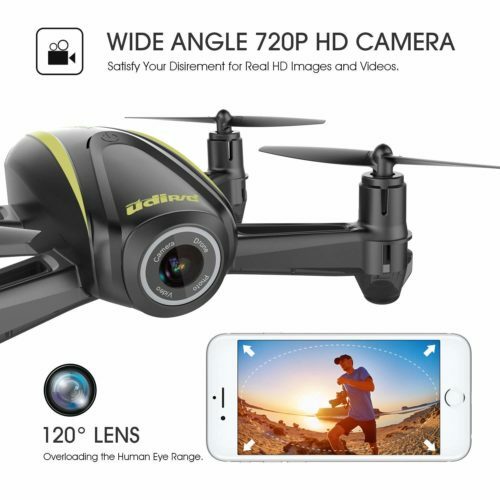 FPV DRONE WITH HD CAMERA - NAVIGATOR equipped with 120 DEGREE WIDE-ANGLE 720P HD CAMERA, thanks for the Altitude Hold Mode and VR Mode, it can really meet your selfie and VR View demand. No matter mountaineering, outings, or family parties, it can help you capture every eternal moment. 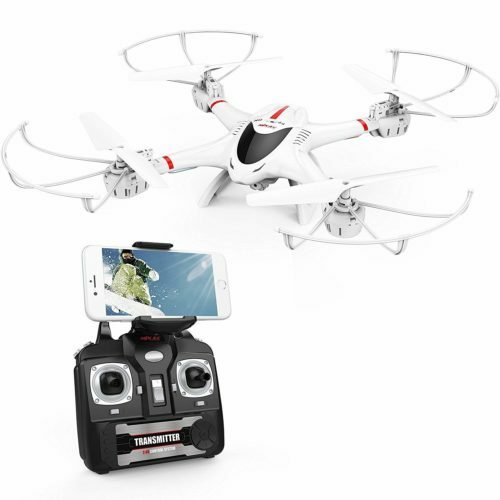 ALTITUDE HOLD MODE - More Easy Flight Mode Drone For Beginners or Kids: Altitude hold mode means flying the drone at a specified altitude and adopts barometer to realize this function. 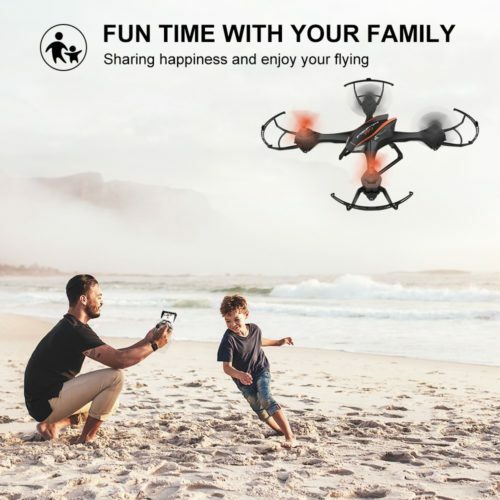 Under this mode, you can make the drone flying in the default height and hover, easy to shoot images from any angle, more suitable for beginners to control. ONE BUTTON TAKE OFF / LANDING/ EMERGENCY STOP - Intelligent Operation for Beginner or Kid : If you feel difficult to start and land the drone, you can use " One button take off / landing" button directly, the drone will take off automatically and hold a certain altitude/ land on the ground softly. When emergency situation happens, press down the Emergency Stop button, the motors will stop working and the drone will drop down directly. OUT OF RANGE ALARM - No More Worries About Losing Drones : When the drone is going to exceed the flight range, then the transmitter will sound beep didi...didi...didi...to alarm, you need to fly back the drone in controllable area, otherwise the drone will be out of control and lost.